Choose between four different sizes. The swing-top bottle makes a beautiful presentation in the kitchen, while resealable rice paper bags pack a lot of spice into limited shelf space. The jars are perfect for restaurant, food service use, and work well in professional kitchens. Contact us directly for bulk prices. Appropriately so, the star anise pod gets its name from the classic star shape of its pericarps, which is stemmed out of the illicium verum tree. It is then harvested just before they ripen in order to preserve its enriching flavor. Looking for the perfect ingredient to help spice up your favorite noodle soup? What about adding an extra kick to your morning cup of coffee or tea? If that doesn’t wet your whistle, how about giving a little extra sweet taste to your morning breakfast—such as scrambled eggs—to start your day off right? The taste of the star anise spice is partially sweet and reminiscent of licorice. When eaten, it results in a warm and mildly numbing effect. Now, with a package of star anise at your disposal, there’s no reason why any one of your meals can’t have a sweet side to them. 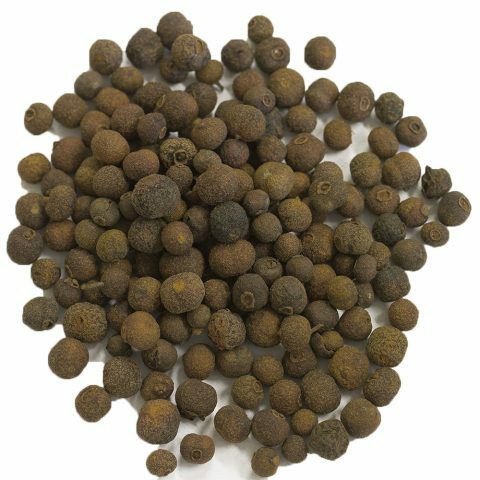 Like our other product, anise seed, star anise gets its distinctive licorice flavor from a chemical compound known as anethole. Flavoring: Because of the anethole each star anise pod contains, it becomes a less expensive substitute for anise baking; which is why it is becoming more and more popular in the West. 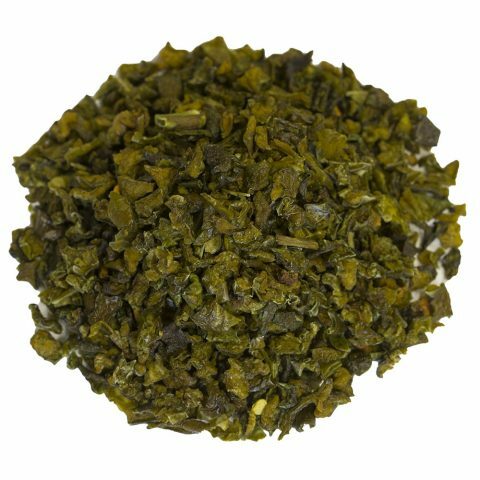 Moreover, because it can be used as a replacement for alcohol, it also enhances the flavor of meats. Cuisine Preparation: It is also often used as a preparatory spice in the dish known as biryani (“spicy rice”) and masala chai (a flavored tea beverage). 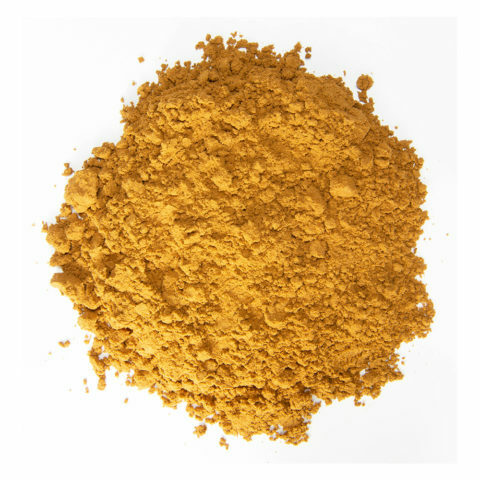 Moreover, it is one of the main ingredients in the traditional five-spice powder of Chinese “red” cooking. Plus, it is one of the main ingredients in the Vietnamese noodle soup dish known as pho. Mulled Wine: It is also used in a French recipe for mulled wine, also referred to as vin chaud (hot wine). Moreover, if allowed to be elevated above a cup of coffee or kettle, it can also enrich the flavor of your favorite morning beverage. Each star anise pod can be used in this manner multiple times because the flavor is easily extracted through the transference of hot water. 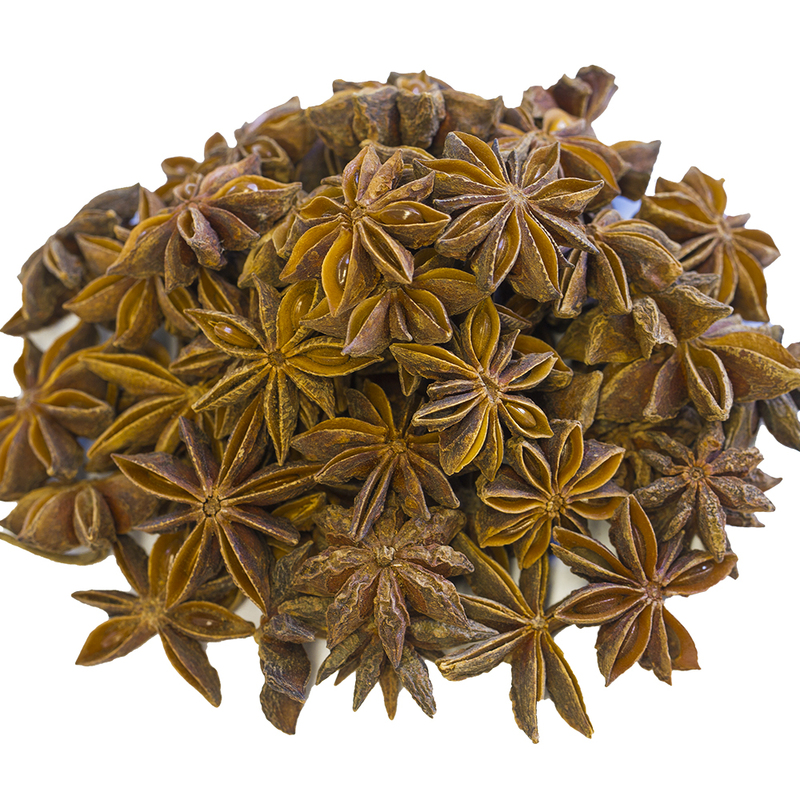 Star anise is a spice that stems from the illicium verum tree that is native to China and Vietnam. In fact, it is currently grown almost exclusively in southern China, Indochina, and Japan. The word illicium comes from the Latin word illicio, which means “entice.” Moreover, in Persian, star anise is referred to as badiyan, which is where we get the French name badiane. The star anise spice makes a perfect companion to the anise seed because it closely resembles it in flavor. 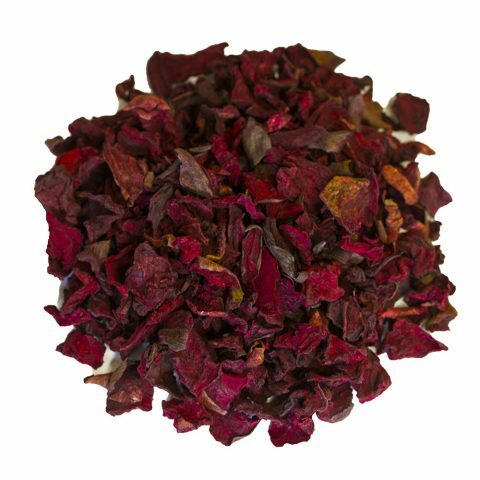 This flavor is obtained throughout the star-shaped pericarps stemmed from the illicium verum tree and is harvested just before ripening in order to preserve its flavor. With a name like “entice” it is easy to see just how easy it can be one’s go-to spice in order to enrich the flavor of one’s favorite dish or beverage. Aside from cooking, Star anise also contains an oil with a pleasant scent that is often used in perfumes, skin creams, mouthwash, and toothpaste. In fact, about 90 percent of the world’s Star anise crop is harvested for the acid known as shikimic, which is a chemical used in the synthesis of oseltamivir, a flu-fighting medicine. Star anise is best grown in subtropical conditions, where the temperature rarely falls below 15 F (-10 C). It requires a rich compost type soil and regular watering. However, it requires very little pruning care. Moreover, the star anise pod possess anti-bacterial and pest-repellent elements within its properties, which keeps it safe from harm throughout its harvesting cycles. Lastly, the illicium verum tree takes about six years to begin seeing it bud its first fruits, if grown by seeds. It is then picked while they are still green (before they have ripened), and then sun dried until their color changes to reddish-brown. Our star anise is cultivated in the misty, mountainous province of Lang Song, in northern Vietnam. The city is accessible by road and railway from Hanoi. It is also considered to be Vietnam’s “gateway” to China. Sad to say, it was also the site of three devastating French battles during the Colonial era. Now, it is rich with a lively culture and breathtaking farm lands. It has an average high temperature of 78.3 F (25.7 C), an average precipitation of 51.22 inches, and an average of 142.7 precipitation days, making it the ideal place to produce star anise.